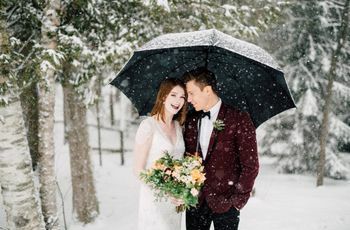 8 Royal Wedding Inspired Ideas to Steal for Your Big Day | Wedding Ideas ARE YOU A VENDOR? Want your wedding to be as impressive as Will and Kate’s or Harry and Meghan’s? Here are a few royal wedding inspired ideas to steal for your big day. 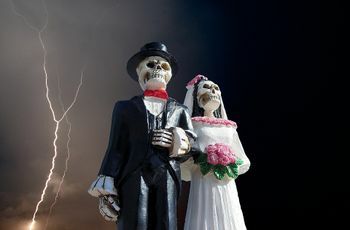 If you were glued to your TV when Will and Kate tied the knot and have been borderline cyberstalking Harry and Meghan since their engagement, you may want to consider copying some royal wedding ideas for your own big day. We don’t know much about the royal wedding 2018 plans as of yet, but you can start drafting yours based on key features like their wedding date, venue, cake and stationery. Here are a few royal wedding inspired ideas for your big day. If you’re still in the beginning phases of your wedding planning and haven’t chosen your wedding date, take your cues from Meghan and Harry. 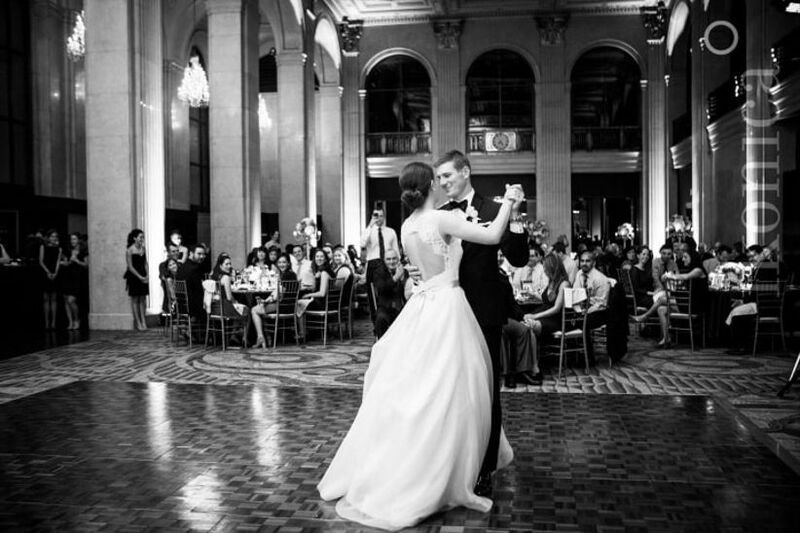 Book your venue for May 19 (or somewhere around there) and have an epic spring wedding. Will and Kate had theirs on April 29, so this seems to be the season of choice for royal weddings. 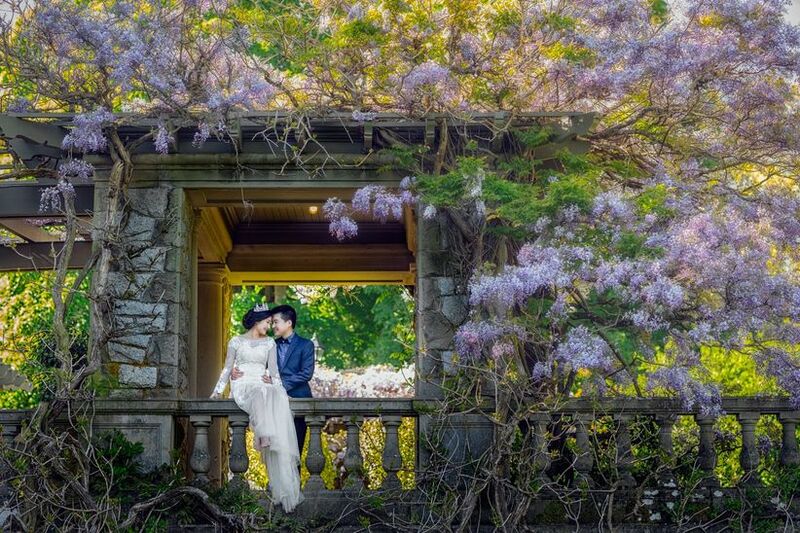 Unfortunately, you can’t book Windsor Castle, Harry and Meghan’s actual venue, for your wedding day, but Canada does have its fair share of stunning palaces where you can say your ‘I dos’. 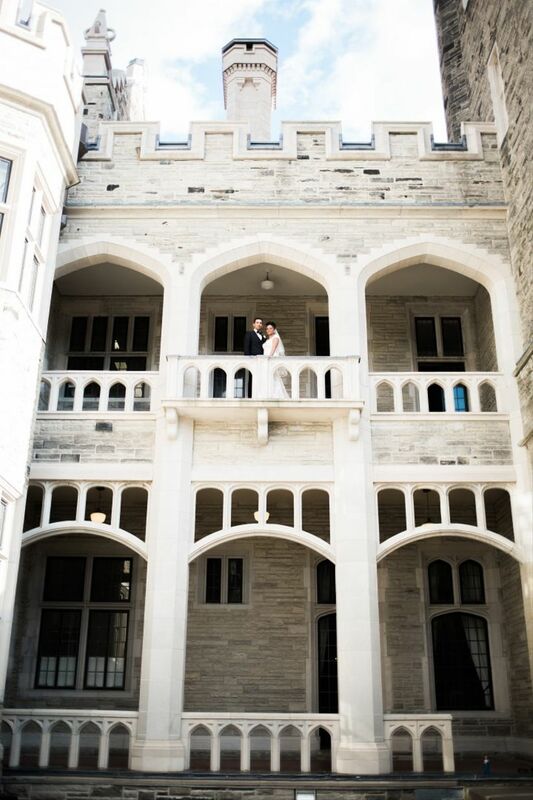 From Toronto’s Casa Loma (pictured at top and below) to Victoria’s Hatley Castle, there are a few truly stunning spots worthy of royalty (and your big day) in our fair country. 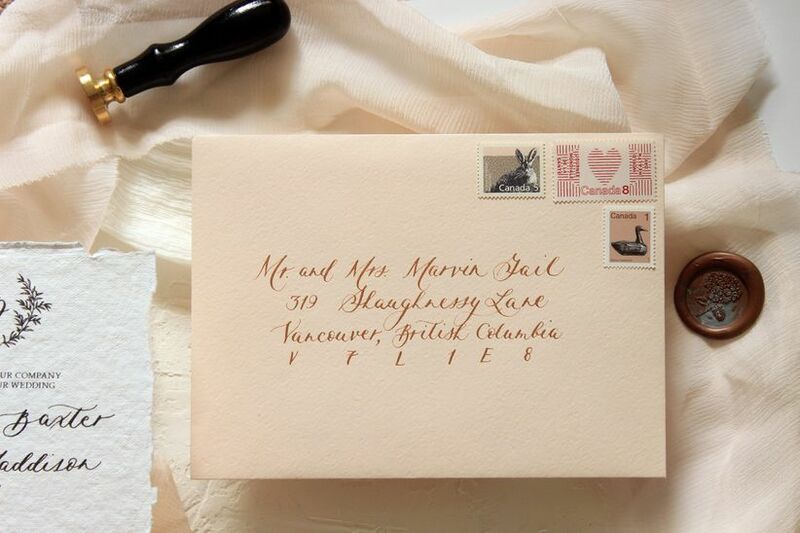 You won’t find the royal wedding stationery packed with art deco designs, watercolour flora and fauna or bright, bold fonts - nope, they keep it sleek and simple. 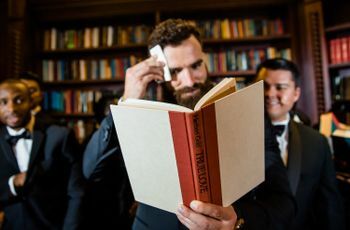 Harry and Meghan’s invitations were made by Barnard and Westwood, the royal family’s printing company of choice since 1985, and are the epitome of class. If you don’t have the funds to hire them as your stationer (which is pretty likely) most companies should be able to create something similar for you. Pro tip: craft a wedding monogram to replace the Three-Feathered Badge of the Prince of Wales found at the top of the royal couple’s invitations. 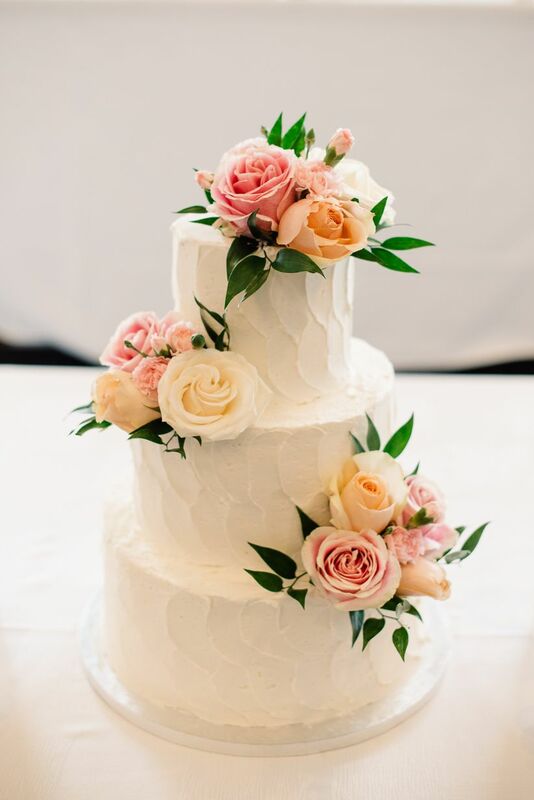 If your style is closer to Harry and Meghan’s than Will and Kate’s, you may want something a bit more rustic than royal icing for your wedding cake (that’s what the latter opted for on their big day). 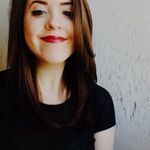 They’ve enlisted the help of California native, Claire Ptak, the owner of Violet Bakery in East London, and are said to be going for a lemon and elderflower cake covered in buttercream and fresh blooms. Now, we don’t know much about the design, but if your scroll through the bakery’s gallery, the treats are imperfectly perfect - so use that as your jumping off point. 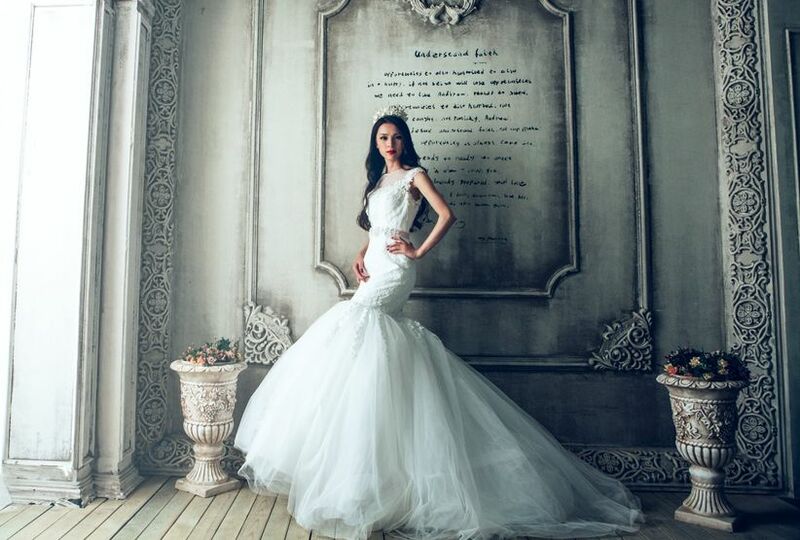 Every royal bride has her own unique style, so take that into consideration when choosing your gown. Princess Diana’s was designed by David and Elizabeth Emanuel and made of ivory silk taffeta and antique lace and boasted a massive 25-foot train; Kate Middleton’s was designed by Sarah Burton for Alexander McQueen and feature lace detailing, full length sleeves and much more modest train; we have yet to discover what Meghan Markle will don on her wedding day, but she has expressed her love for Carolyn Bessette Kennedy’s gown, which was a Narciso Rodriguez slip-style silk number. Whichever wedding dress silhouette and train style you choose, we suggest topping your look off with a tiara or crown to add that extra dose of royal flavour. 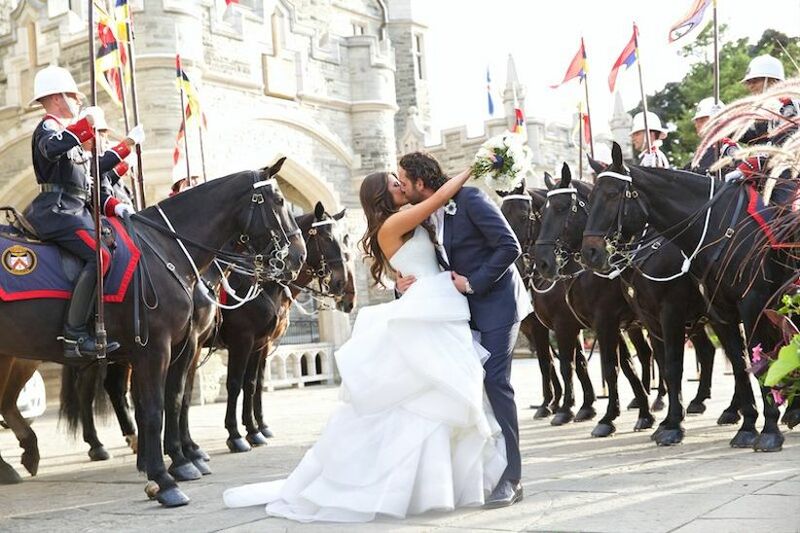 Most royal weddings involve a horse-drawn carriage procession, so follow suit with your own. 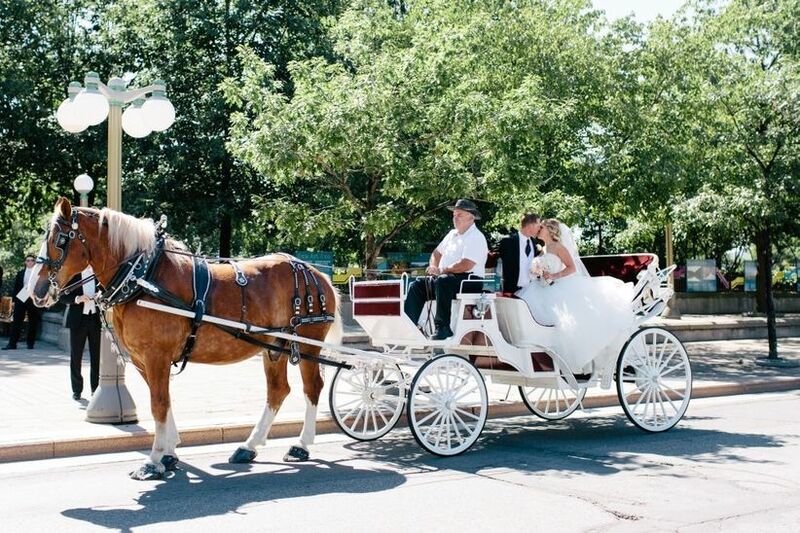 Instead of booking a limousine or town car to transport you from your ceremony space to your reception venue, book a carriage service. Yes, this royal wedding idea will be a little more expensive but the photos and experience will be well worth the splurge. Unfortunately, we’ll have to speculate what Harry and Meghan will bring the house down to on their wedding day, but if Will and Kate’s playlist is any indication, the playlist will be pretty awesome. They chose songs like The Killers’ “Mr. Brightside”, Stevie Wonder’s “Superstition” and a handful of Ellie Goulding tracks sung by the pop phenomenon herself. There’s no verifiable news on who will lead the band at this royal wedding, but there are those rumours that the Spice Girls will perform (which is what we want, what we really, really want). 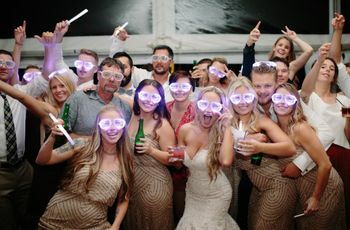 Forget about renting out a bar, doing ski shots and funnelling beer (definitely not royal behavior) - plan a classy after party at an upscale lounge or club. It probably won’t compare with Will and Kate’s post-wedding destination (Clarence House), but you may be able to find something reminiscent. Want to really go the extra mile with this royal wedding idea? 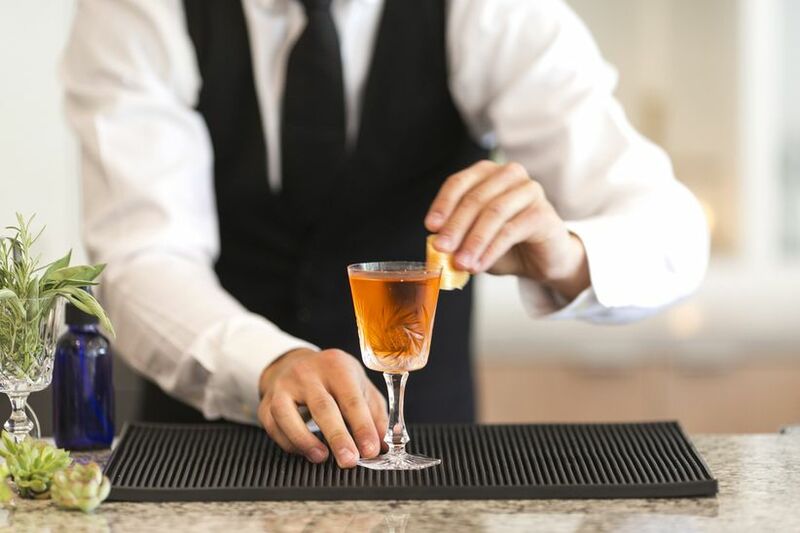 Serve British-inspired drinks, like Pimm’s, and dress to the nines instead of switching to jeans and t-shirts.